Steve qualified from the University of Birmingham in 1992. He remained in the West Midlands for the next five years before moving to Crewe. Steve opened The Old Surgery Dental Practice in February 1998 and has developed it from a single handed practice to its current six surgeries. Steve is highly committed to a preventive approach to dentistry, aiming to help his patients attain and retain excellent dental health. His special interest is the management of tooth wear, especially early diagnosis and intervention to prevent more severe problems occurring later in life. This has led to Steve becoming one of only a handful of UK dentists to have completed the full Dawson Academy training pathway, allowing him to practise Complete Dentistry and fully understand the whole masticatory system, including being able to help with uncomfortable bites and clicking joints. Being a Dawson dentist allows Steve to do what is necessary to achieve long term maintainable health and comfort, along with the creation of a beautiful natural smile, knowing that he is using the least amount of dentistry possible. 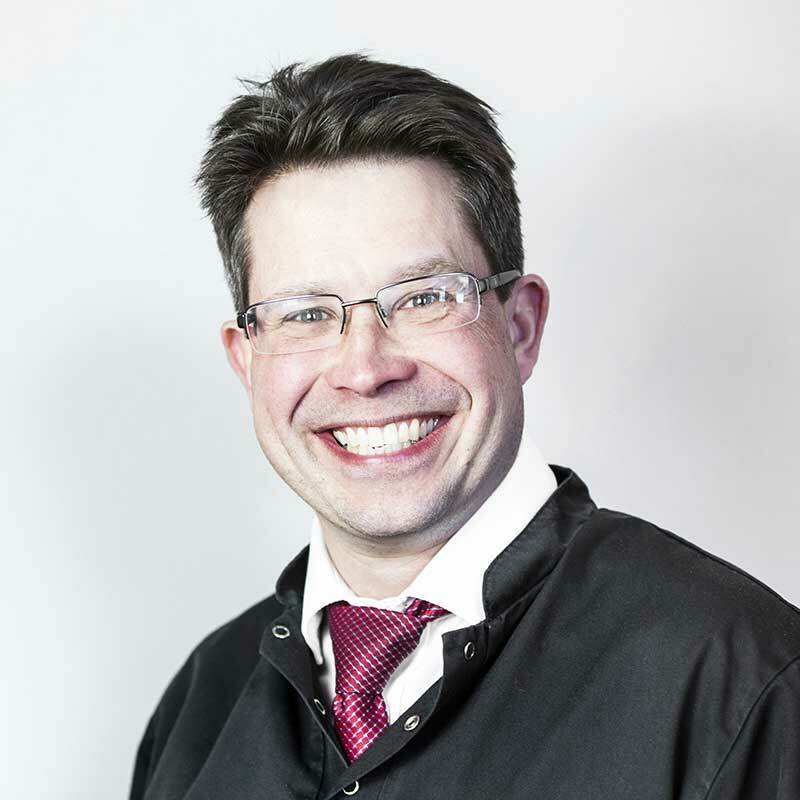 Steve is a Full Member of the British Academy of Cosmetic Dentistry. He is also a member of the British Academy of Restorative Dentistry, and facilitates a South Cheshire study group on behalf of the BARD, providing postgraduate education for other dentists. He spent 2010 completing a Certificate in Aesthetic Dentistry with the prestigious Tipton Training academy, and was delighted to have been given the accolade of Dentist of the Year 2010 by the Academy. In 2012 Steve was awarded a Diploma in Restorative Dentistry. Steve is also very keen on cosmetic orthodontic treatments, to help quickly and easily realign teeth to significantly improve smiles without the need for more destructive crown and veneer work – beautiful results can now be achieved just through a combination of realignment, whitening and sometimes bonding a little white filling to replace worn edges of teeth. Steve is one of the most experienced providers of Six Month Smiles in the North of England, and was the first dentist in South Cheshire to provide the Inman Aligner. Steve’s other dental activities have included being a Vocational Trainer to newly qualified dentists, President of the North Staffordshire Society of Dental Surgeons, leading Peer Review study groups for local dentists, and has been a member of the Local Dental Committee and an examiner for the National Examining Board for Dental Nurses.